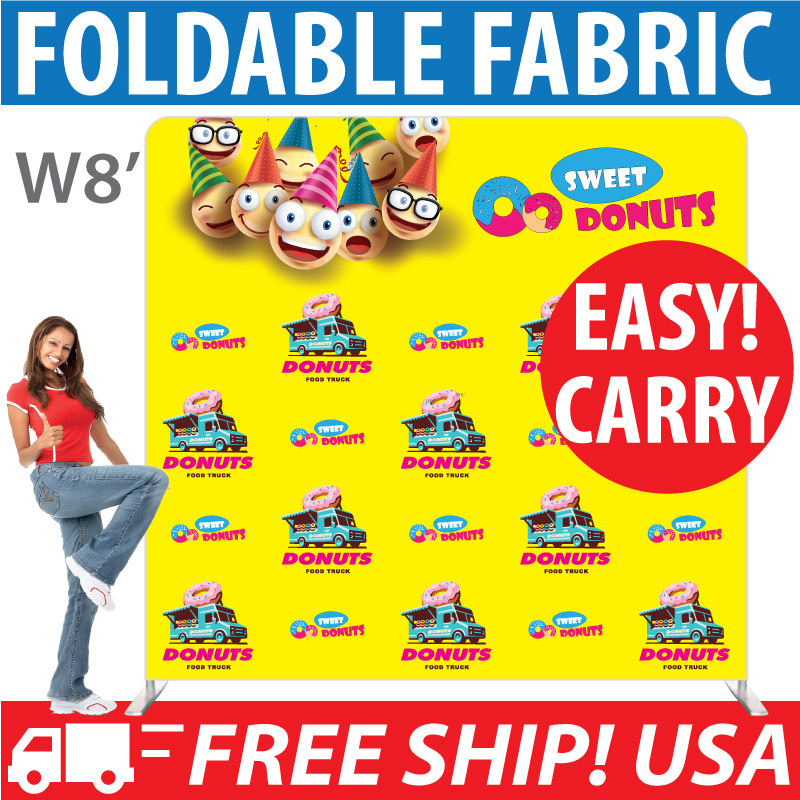 Cheap Retractable Banners wholesale online shopping outlet. Affordable pricing and easy instant setup in a minute makes it the most popular and best selling Retractable Banner Stands for all occassions - trade shows, POP display, road show, and any kind of promotional events. 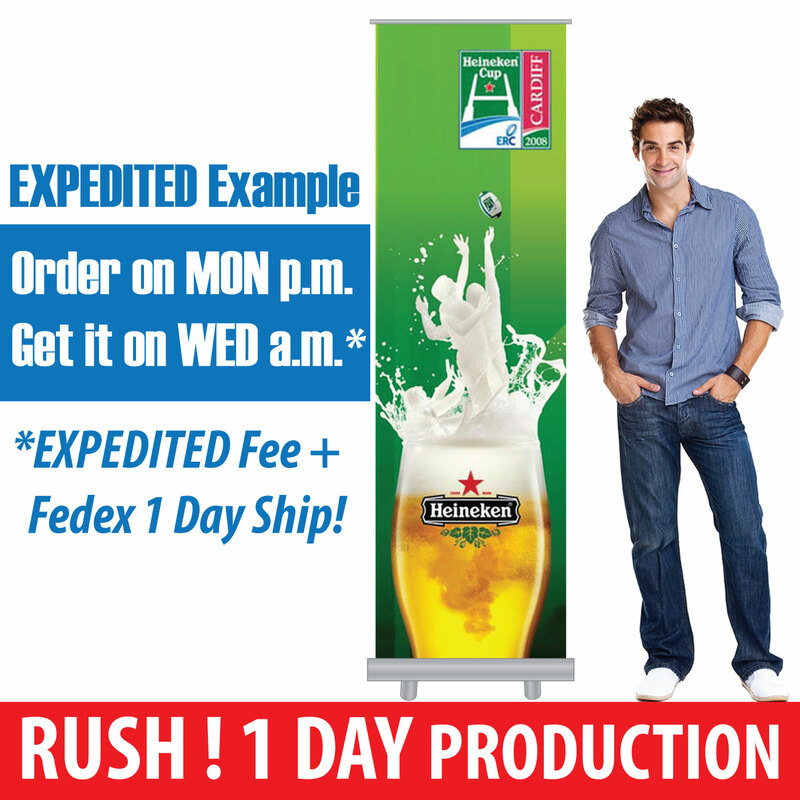 Retractable Banners are commonly called as Pull Up Banner, Roll Up Banners and Pop Up Banners. 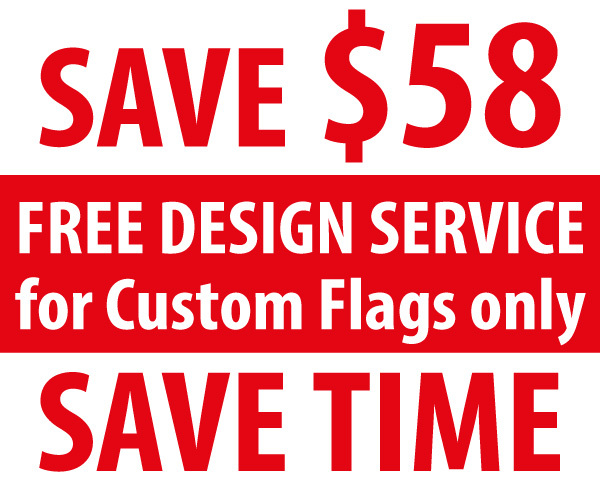 This is the cheaper pricing Economy ID - Retractable Banners. 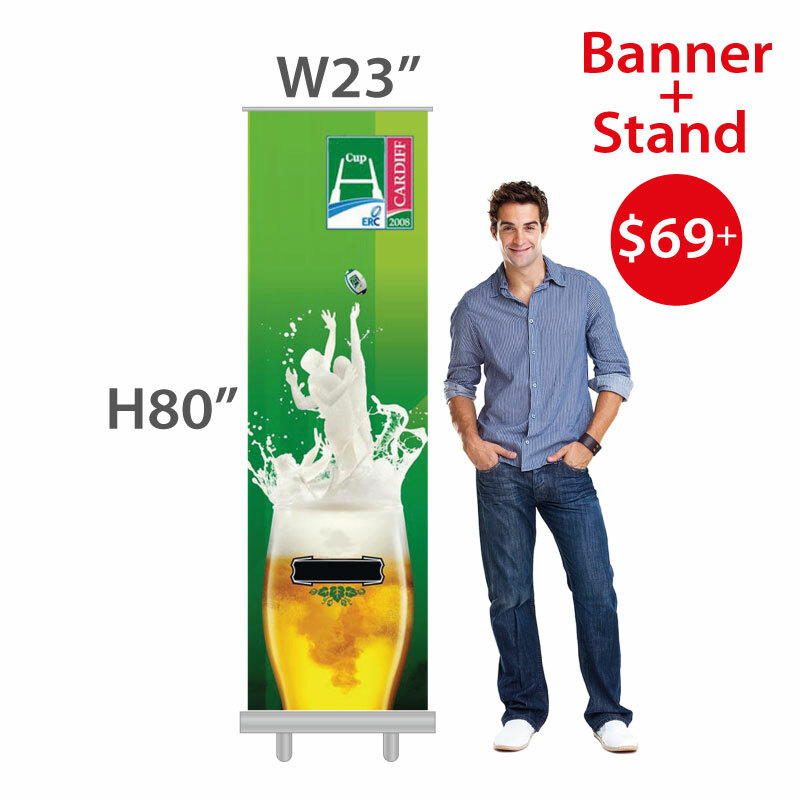 As with almost all other Retractable Banner Stands in the market, banners are permanently fixed into the hardware Stand and could not be changed in the future. Most affordable Best Budget Buy if cost is a major concern. Reasonable quality and life span for a few years with regular casual use. Well balance of Quality, Pricing and Banner Display Size. 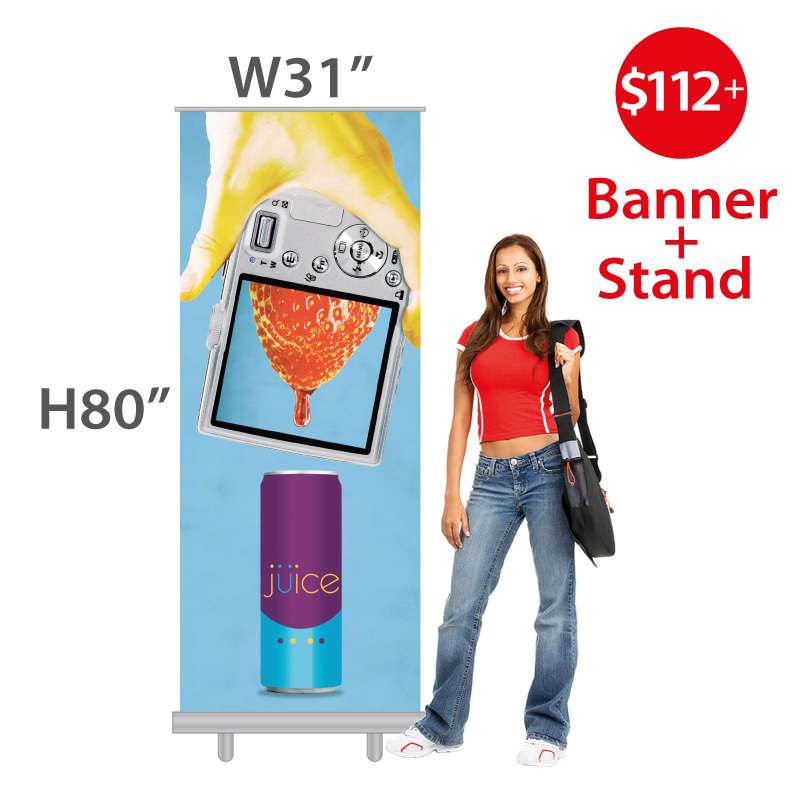 Best Selling Retractable Banner Stand. Standard size of W31" x H80" provides enough room for most graphic layout demand.